911uk.com - Porsche Forum : View topic - Rear Parking Sensors anyone ? 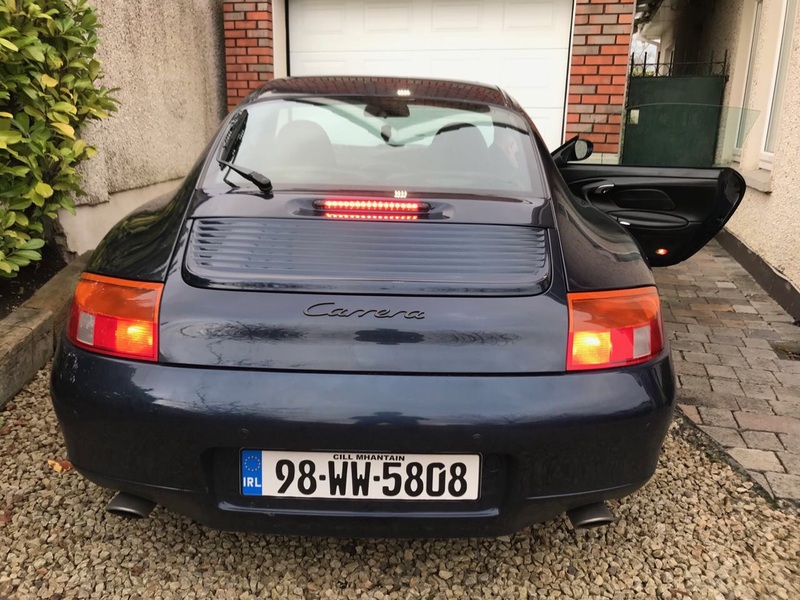 911uk.com Forum Index > 996 (1997 - 2005) > Rear Parking Sensors anyone ? 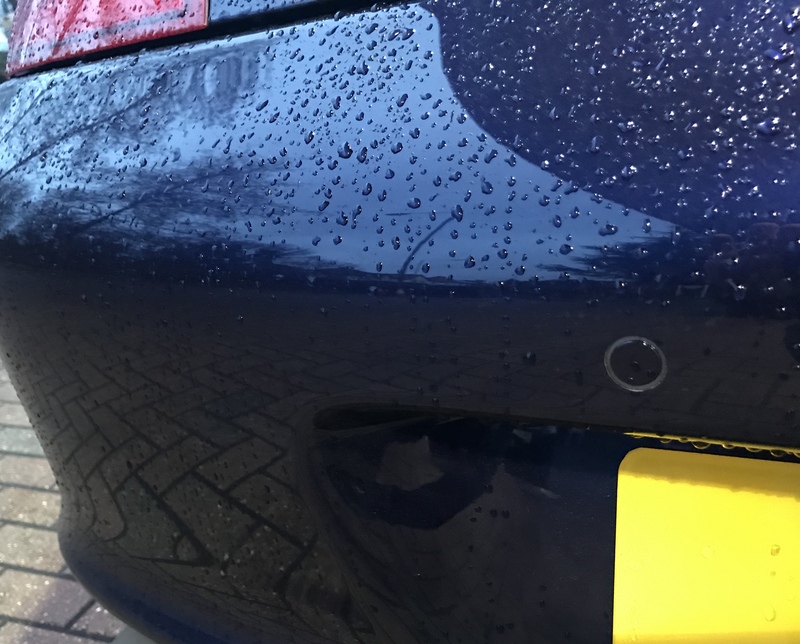 Posted: Wed Jan 16, 2019 8:58 pm Post subject: Rear Parking Sensors anyone ? Has anyone retro fitted any rear parking sensors to their 996 , OE or after market ? Is it a big job ? , are OE parts necessary or does anyone know of a suitable supplier of after market parts /kits which wouldn't ruin the whole bumper. After 5 years of ownership , my wife suddenly decided she might like to have a drive in my car ! The original 996 ones are HORRIFIC if you have ever seen photos online? No wonder they were seldom fitted. I think the early 996 ones were huge, the later 996/997 ones were smaller, but still protruded a little. these sit flush to the bumper like the ones on more modern cars eg a 991.
sorry no pic's to hand at the moment, but they look discreet to me & do the job. There are plenty of suppliers/ fitters out there. Quite inexpensive, and subtle, if you can see them on the pic below? .. (unlike the original bee sting variety! )but aural only... of the beep beep beeeeeesp variety! Nicely done. Who fitted may I ask? I tried to order the strip sensors from a well known supplier, but my card was skimmed so I'm definitely going with modern ultrasonics instead. Am toying with the idea of replacing the CDR22 with a Pioneer double din, and maybe putting a camera into one of the numberplate lamp areas, but based on how often I use the radio (pretty much never) but smartphone google maps (always) I'm really not sure it's worth the cost or hassle. Front and rear fitted to Mrs L's BMW 140i - colour-matched sensors with audio interface (you don't want to ask how much BMW retro-fit and integrated ones are....) - all in for £350 - they came to the house and it took about 2-3 hours. @911Tip I can’t help you really unless you’re planning a visit to Dublin! They cost €240 fitted. Mine were fitted & colour coded by Karl from incarelectrics.co.uk but this was kindly organised by 911virgin prior to me picking up the car. I'll swap you my bumper with 100% genuine original OEM discontinued warts on it for your unadorned one? I fitted one of those kits on mY T5 van when I bought it new in 2015 and I am really impressed with them. The only slight fly in the ointment is that they only detect whilst the vehicle is moving. Thanks all - think I'll go for the low profile ultrasonics. Now need to decide whether to do before a repaint, or at same time.